Let the children in Primary 6 lead you down the rabbit hole to discover the magical world of Wonderland…meet Alice, the Mad Hatter, some crazy cats and a very unusual white rabbit to name but a few. This entry was posted in Primary 6, Whole school events and tagged expressive arts, health & wellbeing, literacy, parents on June 16, 2017 by jent. This entry was posted in Whole school events and tagged literacy, world book day on June 15, 2017 by jent. and thank you for all the great entries. our classrooms, library and nursery. This entry was posted in Whole school events and tagged book fair, literacy on June 7, 2017 by jent. The Edinburgh International Festival invites you to visit our extraordinary installation made in collaboration with one thousand pupils from across The City of Edinburgh. 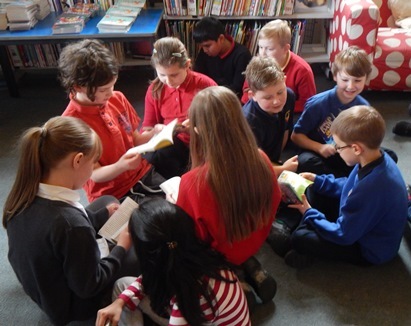 Throughout the summer term the International Festival team have been working in schools to deliver an exciting creative writing and visual art project exploring the themes of light and aspiration with Primary Seven pupils across the city. Together with Old School Fabrications, the work produced has transformed the Parliament Pools in the political heart of the city. Please come and join us throughout the Edinburgh International Festival to view this remarkable public art work, and be sure to take a moment to read the inspirational words from Edinburgh’s young people. Also please feel free to forward this invitation to parents and carers to encourage them to visit the installation during August. This entry was posted in Primary 7 and tagged expressive arts, literacy on June 7, 2017 by jent. 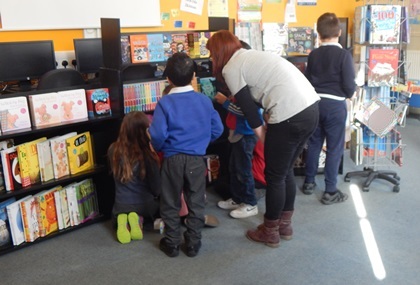 Children and staff had a great day visiting our Blackwell’s Pop Up Bookshop in the library today. 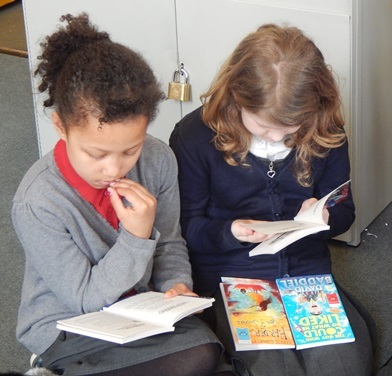 Everyone got their free World Book Day £1 book and a some children bought books for themselves or even their little brothers and sisters. A great start to our World Book Day celebrations. Don’t forget to come to school as your favourite book character on Friday. 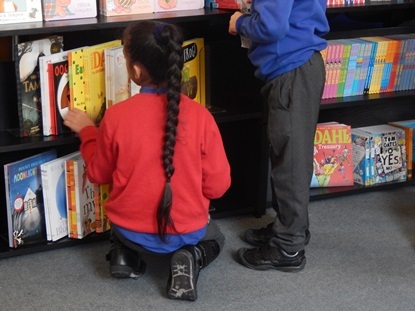 This entry was posted in Whole school events and tagged literacy, visitors, world book day on June 7, 2017 by jent. It was a delight to receive an invite to the Burns’ Supper staged by our P5, 6 and 7 pupils. We knew we were in for something special when it stated that there would be ‘magic treats and ice cauld Irn Bru.’ With singing, dancing, poetry recitals and funny sketches it was a fantastic afternoon. The pupils were brilliant as they entertained guests from the community including Jameson Place, organisers from the Leith festival and even Mr Short managed to drop by too. We were waited on hand and foot as we enjoyed a traditional Burns’ supper with steaming hot haggis, tatties and neeps. It demonstrated to me just what a talented and passionate group of children we have here at Lorne. Also, the hard work and professionalism of the staff shone through. I’d like to say a very big THANK YOU to all involved. We will endeavour to make this an annual event. The ladies and gents from Jamieson Place have kindly donated £50 to the school. It’s our intention to purchase a silver salver to serve our haggis on in coming years and to have it engraved to remind us of our strong links with them. This entry was posted in Primary 5, Primary 6, Primary 7 and tagged community, expressive arts, literacy, Scots on June 7, 2017 by jent. 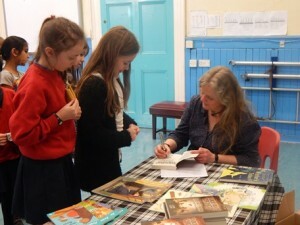 The children were then given the opportunity to purchase one of her books which were signed with a personal message for them. This entry was posted in Primary 4, Primary 5, Primary 6, Primary 7 and tagged literacy, visitors on June 7, 2017 by jent. The wildlife expert says he's been wowed by how much people are doing to tackle plastic in the oceans. He's also part of a new BBC campaign to help people deal with plastic waste.